Coolit just confirmed SemiAccurate’s story that the Xeon-AP lines would be water cooled. About the only details left is the ~350W number and a few details about internal wiring. On the up side if you are going to liquid cool a server, Coolit is a really good choice to make. 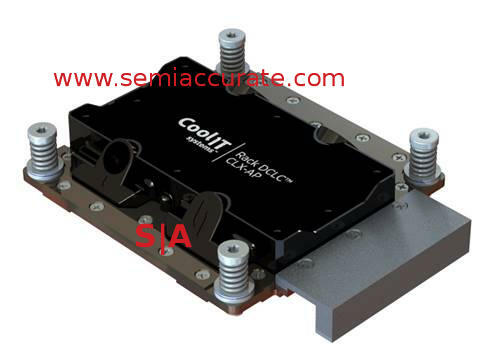 In our earlier story about Cooper-AP, we said it would be a 350W 40-48 core CPU 3-die MCM force-bundled water cooling. We knew about Purley/Cascade-AP but we didn’t think Intel would be silly enough to put it out, they canceled Purley-AP for good reason. Do note it was publicly shown off at previous Supercomputing shows before it was knifed, at least in Purley form.